Gained admission to Babson but not taking it! The Babson MBA ranks #1 (and has maintained that ranking) for entrepreneurship MBA programs in the U.S., and has done so for the last 20 years! Imagine, then, someone getting into Babson and turning it down! Harsh Vinayak has always been in love with technology. 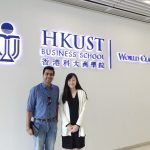 He sought an MBA to be able to pursue his own venture in the field of technology. While applying to this program, he also applied to the MS in Software Management at Carnegie Mellon University – a top program for those interested in mastering software and systems. He got into both programs, but chose the Tepper MS over the Babson MBA! Here is his story. Harsh Vinayak: I come from a distinguished family background, and it was always important to me that I do well in whatever I choose. I chose software engineering as my forte, and even in college spent my time working on innovative new products with technology. These projects won me acclaim, and encouraged me to join a global software engineering firm in the insurance domain. As part of my work, I later moved to the U.S. I applied to an MBA for reasons that are different from those for most others. I wanted to use the education to explore setting up a technology business. The Babson MBA ranking was the highest among all programs for entrepreneurship, and so Babson became my choice. An MBA though was not a route for me to leave my technology past behind, as it is for so many. For this reason, I also planned to apply to the Masters in Software Engineering at Carnegie Mellon. Choosing between an MBA and MS, and applying to both! It was during this process that I first got in touch with GyanOne. In a nutshell, what I really liked about them was that they were aligned to help me achieve my goals. 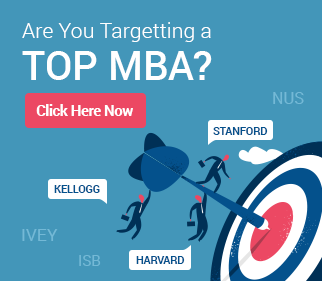 If I wanted to apply for an MBA, they would suggest programs that could help me reach my goals, and then work with me to create fantastic applications for these programs. If I wanted to apply for software engineering programs, they explained how that would change my career path, and worked with me on that too. I applied to these programs at a time of transition between jobs and was apprehensive of the effect on my career, but GyanOne was right on target with their advice on how I should tackle the issue. We also worked together on enhancing my differentiation in what most people consider a difficult category for applicants – the Indian IT Male category. It helped that both GyanOne and I view software engineering and development as highly praiseworthy and intellectual. This contributed to us being able to paint a very positive picture of my candidature. The admission to Babson was not an easy affair – I did not gain an admit immediately, but was placed on the waitlist. 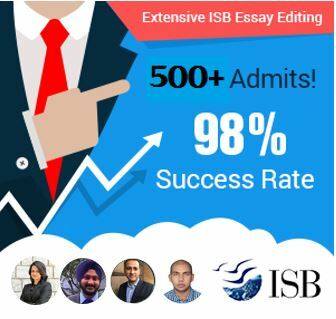 The Babson waitlist involves more than just waiting, and invites the submission of extra information, including an extra essay. I worked closely with GyanOne to develop and improve my waitlist strategy, and was offered a Babson admit soon after. At around the same time, the CMU admit came along as well. This was a nice dilemma to be in! Ultimately, I chose the MS in Software at Carnegie Mellon. I thought long and hard and decided that my talents and preferences were better served in the world of software management than in the world of business. This still doesn’t mean that I have given up on my dream. It just means I have chosen to take a different path to my goals. For others viewing this, I have a simple piece of advice: be clear about what your heart desires. There is often more than one way to reach a goal. Also have the power to say no to something that may not work for you. When I wanted to turn down the offer of admission to Babson, I was asked to reconsider by many, but I knew what I wanted and I chose my path. Also understand that Indian IT engineers are quite competitive at top programs provided they can highlight their accomplishments well, so don’t be afraid to go ahead and give good programs your best shot. You may not be a fit for all programs, but don’t just settle for lower ones purely because your undervalue your own profile. Finally, a big word of thanks to GyanOne. They have been patient friends and advisors who have helped me to navigate the most turbulent of waters with the greatest of ease. A big thumbs up to the help you guys provide to applicants! Wow Babson is #1 here for entrepreneurship (by most rankings), so Im surprised that he chose Carnegie instead.